Our nursery has turned out a special crop of premium advanced sized Mother’s Love Roses which are now in store. Its high centred, pale pink blooms and strong, sweet fragrance make it one the most popular roses we grow. New Season Fruit Trees Have Arrived!! 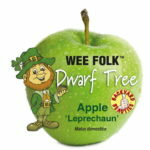 Our first shipment of container grown WA fruit trees have arrived and the trees are now in-store. Amongst them are Almonds, Apples, Apricots, Blueberries, Citrus, Figs, Nectarines, Olives, Peaches, Plums and more! 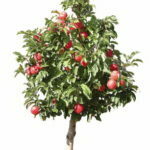 Now is great planting weather for fruit trees so get in quick before they run out. At Dawson’s Garden World we’re passionate about gardening. 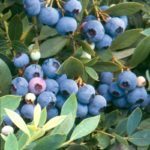 We don’t just sell plants, we want to help you get the best out of your garden. Our roots are deep in the ground. 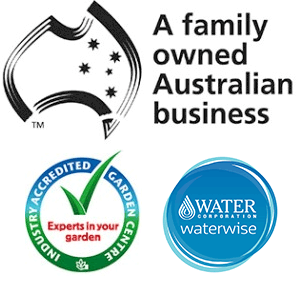 We’ve been serving Perth’s gardening community for over a hundred years. We know you’ll enjoy the Dawson’s difference. That’s top quality plants and gardening products, great service and friendly, local gardening advice. Our friendly staff share your passion for gardening, so you’re assured of great service and first class advice. We are open everyday of the year (except Christmas day) 8.30am to 5.30pm.